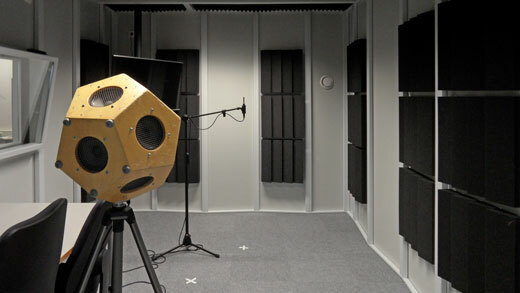 Desone soundproof-booths. 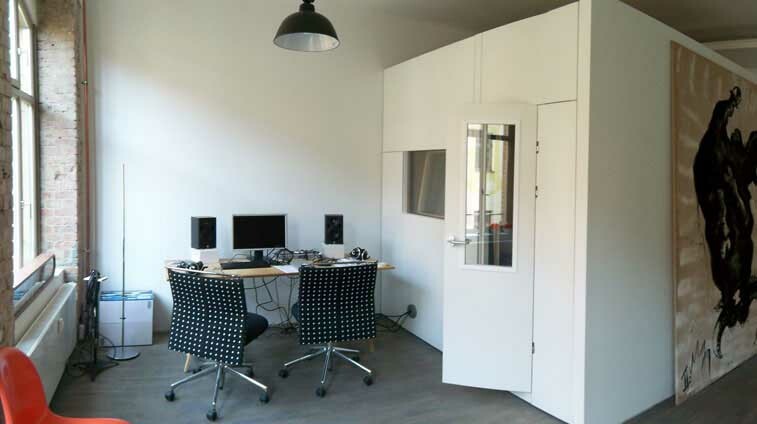 Working in peace and quiet. 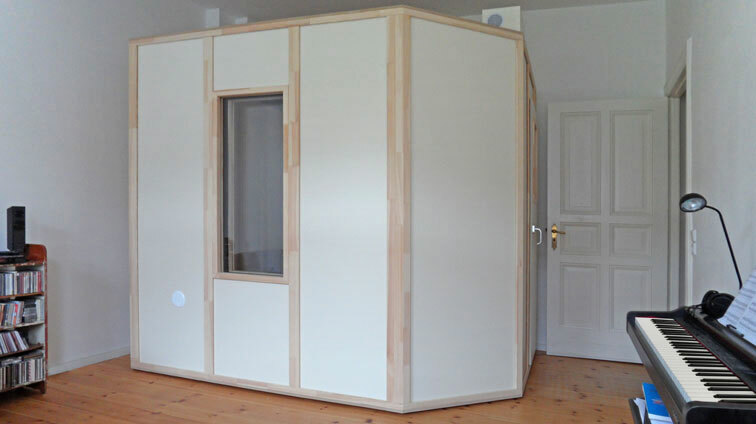 Whether you need a speakers or an interpreters booth, an acoustic booth for recordings or medical examinations, a soundproof booth for practising instrumental music, a sound insulated measuring room in research and development or for your media work - we offer professional solutions for mobile sound reduction. 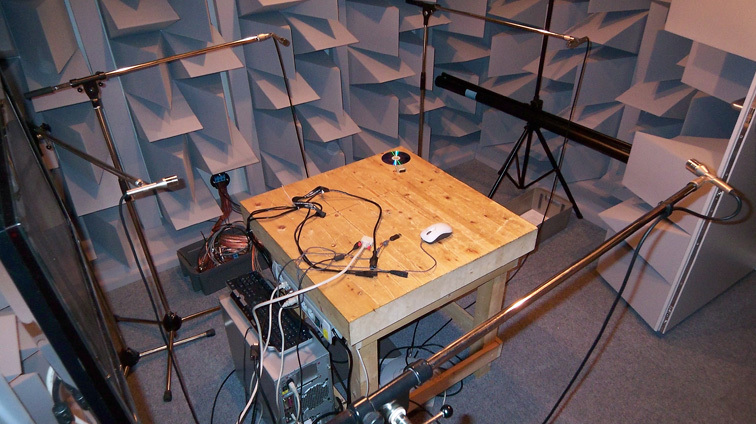 For over 20 years, our products have proved their value many times for speech recording, post production, broadcasting and measuring purposes. 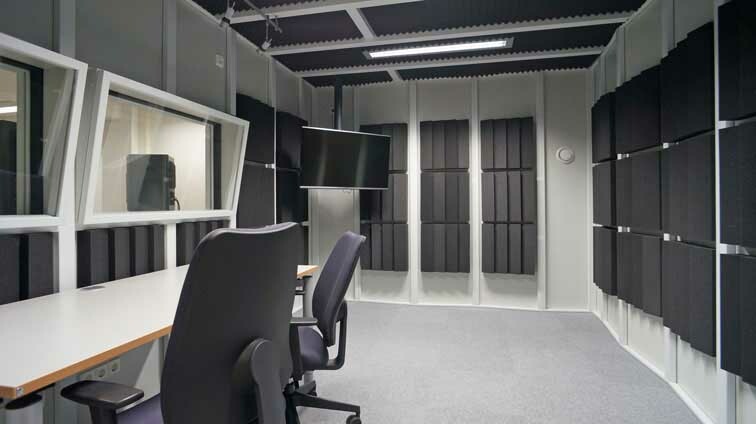 Shielded from disruptive sounds in the environment and with the necessary room acoustics tailored to your individual wishes, you will have just the acoustics you need for your work. 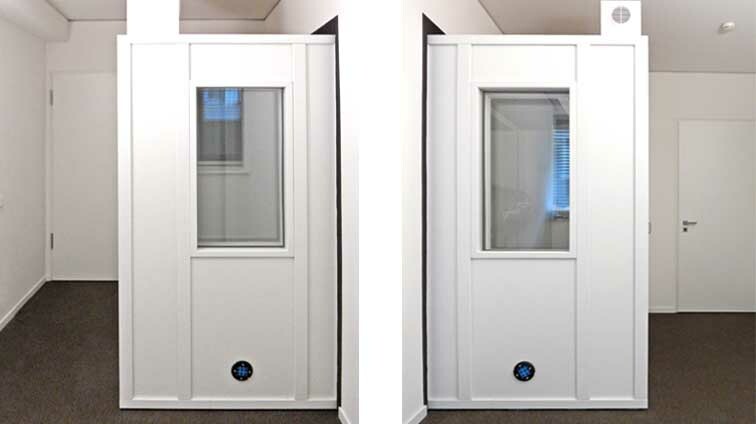 Our product range also includes sound-absorbing acoustic elements for adjusting of the sound of a room and different accessories for equipping your soundproofed booth. 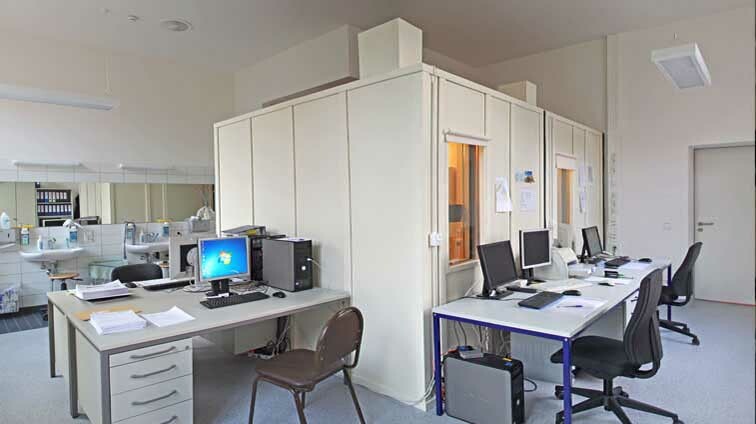 See here some of our references. 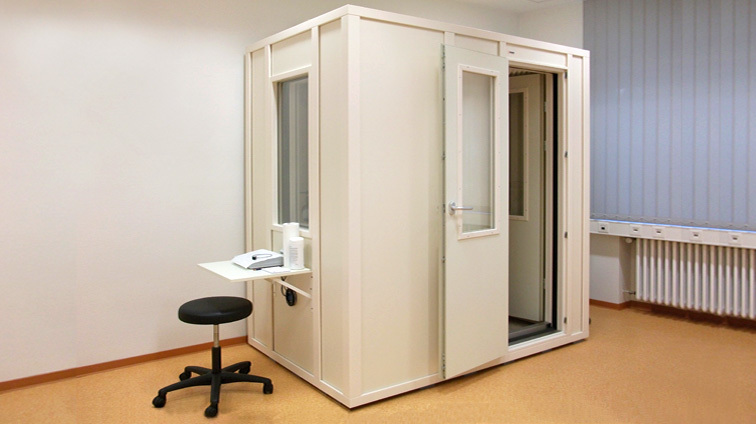 Our booths are available in various standard sizes as well as in custom sizes or special shapes according to your intended purpose. 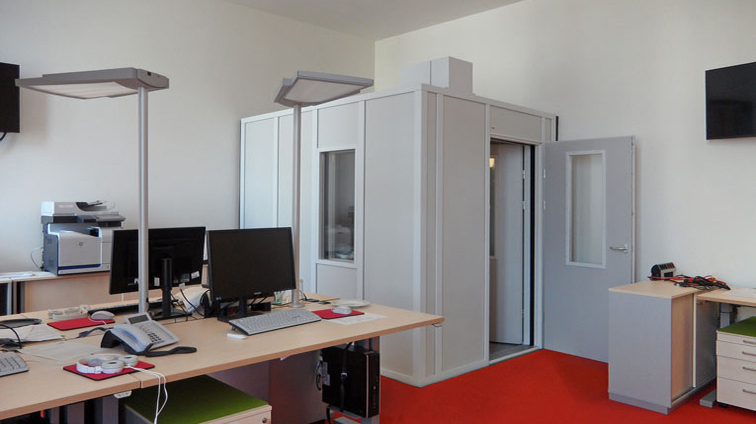 The acoustic and technical properties of the desone soundproof booths are measured, tested and confirmed by sworn independent experts.